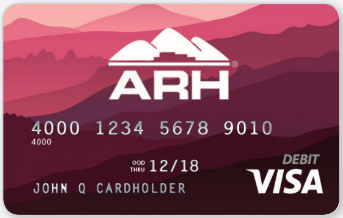 As a show of thanks for our team’s hard work and commitment to providing exceptional care to our communities, we’re happy to provide everyone on staff an ARH CARES Rewards Card. Employees who go above and beyond the CARES standard have the opportunity to receive money on their Rewards Card. That means more money in your pocket – and hopefully more opportunities to enjoy life too! for Going Above & Beyond! Help us build a stronger, happier team by showing your team some love with ARH CARES Rewards. COMMUNICATION—effectively communicating with patients, team members, and other customers. ATTENTION—being attentive to the needs of those we serve and work with. RESPECT—demonstrating courtesy and respect to everyone you come in contact with. ENVIRONMENT—attending to personal appearance, facilities and equipment to make others feel comfortable, safe and secure. SPECIAL—doing something to make others feel special and valued. We hope you’re as excited about ARH CARES Rewards as we are. Thank you for making a difference in the lives of our patients every day!